Basic Division can be introduced to kids using many ways. Then division worksheets can be used to practice the skill and to get perfect on it. 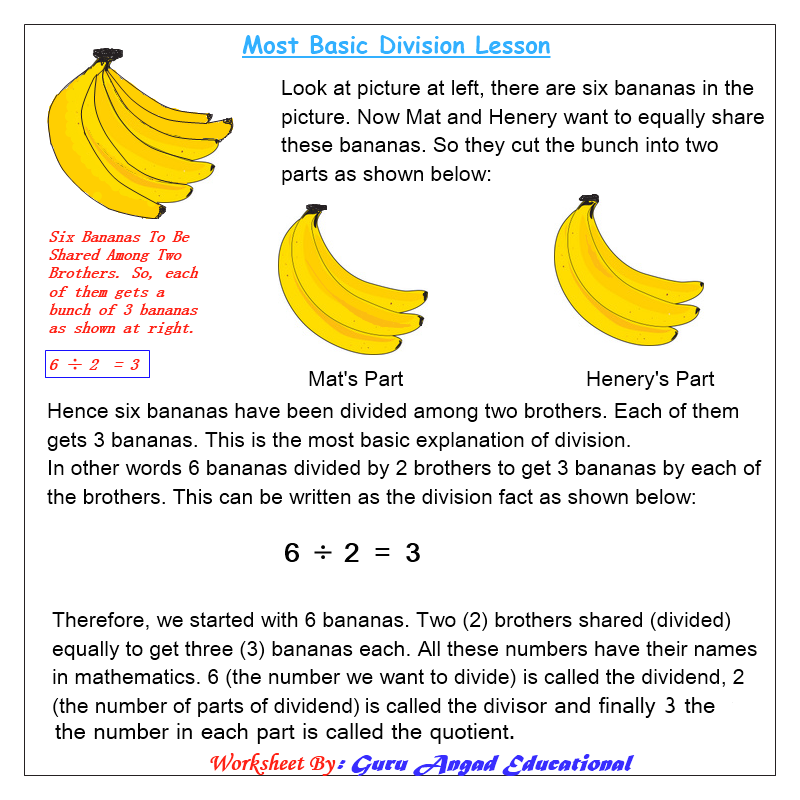 To learn division step by step, we are introducing basic division worksheets on this page. You can skip the lessons below, if your kids or students know how divide easy numbers, and go direct to the bottom of the page to print free basic division worksheets for grade three. We often use an even number of bananas and then share these bananas equally among two brothers. All of this basic division skill is explained in the lesson given below. Once kids get the basic division using the above division worksheets, then the next stop is to learn long division. As said earlier the long division is the most hardest the division can get. We encourage grade four kids to learn all the lessons given in this site and do all the division worksheets on long divison and basic division. Pat your child's back to appreciate his/her work done so far. This will motivate your child to do more practice and which will make her/him perfect on division skills soon.